Leading Manufacturer of heavy duty cardan shaft cross, cardan shaft cross, cardan shaft. star cross, heavy duty cardan shaft u,j bearing cross and heavy duty u,j bearing cross from Ahmedabad. Our organization is actively engaged in manufacturing and supplying of Heavy Duty Cardan Shaft Cross. 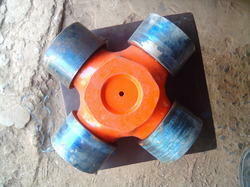 Our provided shaft cross is designed using the best quality raw material and innovative technology. 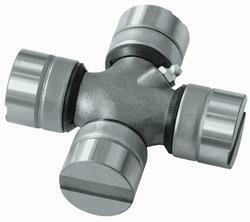 We offer this shaft cross as per varied needs and specification of our esteemed clients. Used where lead time is very crucial & production losses is very important, provided shaft cross is tested by our quality controllers on variegated parameters and can be availed at market leading prices. Based on the skills of our adroit professionals and creative workers, we bring forth an extensive range of Cardan Shaft Cross that is required to transfer rotation motion between two nonparallel shafts and the cross is the heart of this joint. 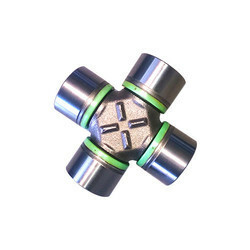 Owing to its features like optimum quality and flawlessness, the provided shaft cross is widely acclaimed in the market. The offered shaft cross is designed under the vigilance of our skilled professionals using top notch quality raw material and cutting edge technology.